A laser is an intensely focused beam of light. In Laser Hair Removal treatments, this focused light, the laser, travels directly through the skin and targets the hair follicle beneath it, without harming the skin. When the laser light hits the hair follicle, it prevents further hair growth. Several Laser Hair Removal treatments are typically needed to achieve optimal results. This is because your hair constantly grows in varying time cycles. To get the full hair-free effect, periodic touch-ups also may be required. Because the laser light is drawn to darker pigmentations of hair, the laser hair removal process tends to work better on patients with fairer skin and darker, more coarse hair. It is unfortunately less effective on blonde, grey, or white hair; however, there is hope in achieving the optimal results by enhancing your laser hair removal treatment with Meladine hair removal enhancer, which is available at the Cosmetic Centers. Edgewater and Hoboken Cosmetic & Laser Centers have dedicated themselves to providing the very best in Laser Hair Removal results possible, offering four different technologies for the removal of unwanted hair. These technologies are state-of-the-art and include the the Focus Medical NaturaLight IPL and the Novalis Medical Clareon IPL, as well as the QS lasers and Focus Medical NaturaLase LP. These four technologies offer the specialized ability reduce and even eliminate hair for all patients, whether their skin type be anywhere from dark to light. Dr. Khan provides THE best in Laser Hair Removal Treatments! When you receive your laser hair removal treatment from Dr Khan, the Medical Director at Edgewater and Hoboken Cosmetic & Laser Centers, you and your skin are in the very best of hands. Dr. Khan is both a board-certified physician and surgeon, and a Fellow of the American College of Surgeons (FACS). He has over 10 years of experience in with several laser-assisted procedures, such as laser hair removal, tattoo removal, spider vein reduction, IPL (Intense Pulse Light) photofacials, DOT skin resurfacing, skin tightening and skin rejuvenation. 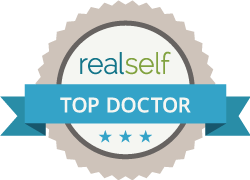 His many years of experience and education in laser cosmetic procedures ensures that you will receive complete professional counseling on which procedures are best for you, given your unique circumstances. So contact Dr. Khan at the Edgewater and Hoboken Cosmetic & Laser Centers today at 201.313.8899 to set up a consultation. You’ll be happy that you did!